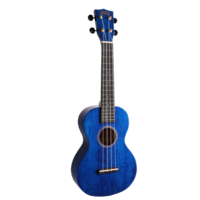 The Tiki '22 series' range of ukuleles combines traditional guitar tone woods with modern ukulele construction to create instruments with remarkable sound and playability. 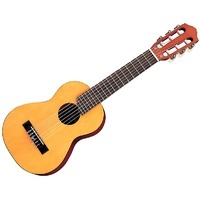 With the addition of the all new 22 series cutaway models, Tiki have ensure the modern ukulele player can enjoy easy access to the entire fretboard; a luxury previously reserved for guitar players. 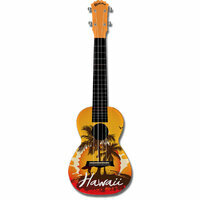 Featuring solid Englemann spruce top, ebony back & sides, mahogany neck, rosewood fingerboard and bridge, and chrome open back tuners with black buttons, the Tiki 22 series are exquisite ukuleles from any angle.